The exodus of Wells Fargo Advisors representatives continued last week, with several brokers jumping ship in Arkansas, Texas and Oklahoma. In Mountain Home, Ark., a group of 11 registered representatives left Wells Fargo Advisors last week to affiliate with Raymond James Financial Services, the company’s independent broker-dealer, as the Financial Services & Investment Strategies Group, according to the Baxter Bulletin. The group includes Jackson Rhoades, who had begun his financial advice career at Wells Fargo predecessor A.G. Edwards & Sons in 1997, and Donna Kaczmar, who began her industry career at A.G. Edwards in 1993, according to BrokerCheck. The other registered representatives in FSISG are Kimberly Pace, Sandy Rehak, Summer Obert, Brock Bettenhausen, Michael Stockton, Logan Stone, Janet Schmeski, David Matty and Steve Bettenhausen, the Baxter Bulletin writes. 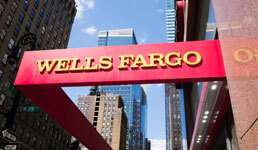 Rhoades told a local radio station that his new firm would be able to offer the same capabilities his team had at Wells Fargo, but would have the option of focusing on what they thought mattered most rather than the goals set for the branch by the corporate parent, according to the Baxter Bulletin. In Dallas, meanwhile, Wells Fargo lost Jason Holland, who had been with the firm since 2005 before he left for JPMorgan last week, according to AdvisorHub. Holland produced more than $2 million in revenue at Wells Fargo, the industry news website writes. A JPMorgan spokeswoman tells AdvisorHub that he had been overseeing more than $240 million. Finally, in Oklahoma City, Wells Fargo lost Joey Sager and DeWayne Crunk, a pair of brokers who had been overseeing more than $300 million, according to the website. They have become partners at the RIA Venturi Wealth Management, which was founded by former Merrill Lynch brokers three years ago, AdvisorHub writes. Sager and Crunk had first set out to form their own independent boutique and talked to Raymond James Financial for nine months before opting to partner with Venturi, Russell Norwood, one of the Venturi’s founders, tells the website. Another pair of veteran Wells Fargo Advisors representatives recently left for Raymond James Financial Services in Asheville, N.C. In the past few weeks, Wells Fargo also lost advisors to RBC Wealth Management, Ameriprise, Sun Trust Private Wealth Management and Surevest Wealth Management. To read the AdvisorHub article cited in this story, click here. To read the Baxter Bulletin article cited in this story, click here.